The first (of many) apparent contradiction you will see with Aquarians is in the way each of them demonstrate the influences of their two rulers. The varieties of combinations these two seemingly opposing influences create are enough to make Aquarians very difficult to identify, which is great since they hate to be pinned down. Depending on which area of their life is tuned to either Saturn or Uranus, you will find Aquarians with wild creativity and a highly disciplined home life, or promiscuous Aquarians, who are the symbol of stability, consistency, and responsibility when it comes to their work, or any other combination. The Aquarian best shows when working for a purpose that requires their Saturn-inspired steadfastness to support their Uranus-inspired visions of a better world. There, you can find Aquarians at the forefront of social battles (President Lincoln, Rosa Parks, and Betty Friedan, to name only a few). Being an air sign, Aquarians sometimes do not get to actualize their revolutionary ideas; they can solve that by keeping some cardinal-sign companions around to assist in grounding and practical application, especially their close-by-sign Capricorns, who share the Saturn influence. Another aspect of the air influence is in how essential communication is to Aquarians, and the Age of Aquarius, which we are all currently influenced by, is a good example for that (Facebook – the ultimate Aquarian expression was started on February 4, 2004). The typical Aquarian communication, though, is mostly based in the mental and abstract parts of people – head-to-head. One of the symbols of the sign, the water bearer, represents the one who carries knowledge, and most Aquarians are very comfortable in imparting knowledge to others. Aquarians are natural teachers, and when in that position, demonstrate endless amounts of patience, which they do not necessarily show elsewhere. Even those who hated school become brilliant teachers when explaining an idea they had or a new invention they developed. With their airy, charming appearance and the futuristic influence of Uranus, you would expect Aquarians to be very tolerant of all views, which they mostly are. However, Aquarians’ fixed side appears when you challenge their principles or the “self evident truths” that they have held for many years. This fixed part comes into play in a unique way: unlike the Tauruses, who would beat you until you agree with them, or the Leos, who will dazzle you until you no longer see that there are actually other options, the Aquarians will simply leave you alone and go do something else, often renewing the contact several weeks, months, or years later, as if the conversation only stopped a few minutes ago. They didn’t change their minds in this time, but you may have. The positive, outgoing expression of Aquarians can be seen in initiating contact with people they do not know, instead of waiting to be approached. Of all the signs, Aquarians are the least obsessed with what others may think of them; that feature together with their interest in everything human makes speaking with strangers, which is a great fear for others, a very natural act for Aquarians. 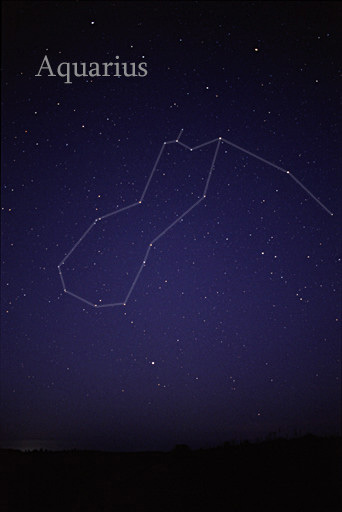 In the beginning of February 2012, Neptune, which was in Aquarius since 1998, made its final move into Pisces, releasing the Aquarians to re-connect with their dreams and look for ways to make those dreams appear in the “real” world, where we all live but Aquarians only visit occasionally.